On behalf of all our staff we would like to welcome you to Camp U of T for the summer. Everyone at Camp U of T takes great pride in providing a quality experience for all campers on a daily basis. We are very excited about the programming we have for you this year and look forward to seeing returning campers and welcoming new campers into the Camp U of T family. Our commitment at Camp U of T is to provide children and youth with opportunities for learning in a safe and fun environment: an environment that celebrates the unique abilities of each child in a spirit of community. Your child’s safety and enjoyment of our program are of paramount concern to us. We encourage participation and ensure that campers can explore the full range of programs offered in a supportive and inclusive environment. Please take the time to read through this information prior to attending Camp U of T and keep it handy during your time at camp. This website contains essential information for creating the best possible camp experience for everyone. Thank you for choosing Camp U of T! The safety and enjoyment of each camper is extremely important to us. In order to ensure that everyone has an enjoyable experience, we ask you to review the following points with your child/children. This information is also reviewed by staff prior to the beginning of each camp and camp specific rules are agreed on by campers and staff. Camp staff will direct the child to more appropriate behaviour. The child will be reminded of the expected behaviour and the rules that were gone over at the beginning of the camp session. A discussion between the camper and the staff will take place. If the behaviour persists the parent will be notified of the concerns and parents and staff will review the changes in behaviour that need to occur. Staff will schedule a follow up conversation with the parent for one to two camp days in the future to check on the progress. Progress check between the camper, staff and parents. If the behaviour persists a conference will be scheduled with the Camp Director to discuss the next steps, which could include suspension or removal from the camp programs. If a child’s behaviour at any time threatens the immediate safety of themselves, other children or staff the parent is notified and instructed to pick up the child immediately. Wear comfortable clothing and running shoes - sandals are not permitted in sport and activity camps, including Mini University. A jacket or sweatshirt for cool days. A bathing suit and towel for swim days. Hat and Sunscreen. All campers go outside occasionally - please be prepared. Water bottle - no glass please! A substantial lunch and snacks. Enthusiasm, a sense of cooperation and a willingness to learn new things are essential for all campers! Mini University campers travel to and from other buildings on campus, please wear a raincoat or bring an umbrella on rainy days! Please dress for the weather – Flag Football, MultiSport, Speed, Power & Agility, Soccer, Track and Field, Field Hockey, Beach Volleyball, and NOT Sports Camp will remain outside on rainy days. Soccer campers may want to bring cleats. Please make sure you have a pair of running shoes as well for other activities. Shin pads are recommended. Flag Football, NOT Sports Camp, Field Hockey campers will not be allowed to wear cleats on Back Campus Fields. They may choose to wear turf shoes or running shoes. Badminton campers can bring their own racquets – one will be provided if campers don't have their own. Aquatics MultiSport campers should bring at least two towels with them daily. Gymnastics and Dance campers may wear tights or leotards if they want. If campers wear shorts and t‐shirts make sure they are close fitting to allow movement of the body. Gymnasts will be barefoot while in the Lower Gym. Avoid bringing expensive electronic equipment (i.e. iPads, cell phones, game systems, etc.). Camp U of T takes no responsibility for lost or damaged equipment. Cell phones are disruptive to the camp programming and are not to be used while at Camp U of T. Cell phones should be turned off and stored in backpacks during the camp day. If you would like your child to call you to verify their safe arrival or departure they may call from camp, please discuss this with your child’s counsellor during the pre-camp phone call. In the event of an emergency please call the Camp Director or the main office for assistance. Cell phones may be used during unprogrammed free time, but this is at the discretion of the supervising Instructors; please only send a device if your child is permitted to use it and if you accept the risk of loss or theft. Campers may use one of the phones at Camp U of T if they need to reach you. Staff will be contacting families a few days prior to the start of camp. Please ensure that all contact, emergency, and medical information are up-to-date, as well as those allowed to pick-up your children. We look forward to seeing you at Camp U of T! The whole campus is our campground! Campers participate in activities across the U of T downtown campus. Campers are supervised by staff at all times as they walk and play. Due to construction at our other facilities drop off and pick up for ALL camps will be at the Athletic Centre in the field house. ATHLETIC CENTRE (AC) 55 Harbord St. The Camp U of T entrance will be the main entrance located on Harbord St. (north side of building).  Camps at the Athletic Centre – 55 Harbord St. Please note that the entrance to the Athletic Centre is highly congested during the pick-up and drop-off period. We strongly recommend that you walk, bike or take transit to Camp UofT. If you drive we ask that you read the note about parking carefully in the next section. Camp U of T parents are reminded that cars stopped on Huron St. or Harbord St. WILL be ticketed by City of Toronto Parking Authority. Camp U of T is NOT responsible for any tickets incurred at any time. For your parking convenience Camp U of T once again will be offering free parking on the second level of the underground parking lot located at Graduate House, 17 Glen Morris Road SECOND LEVEL ONLY. A parking pass may be picked up at our Open House on Tuesday June 5th from 4:30pm until 5:30pm. From June 6th to June 30th, you may pick up a parking pass at the Membership Services Office located in the main foyer of the Athletic Centre. Starting Tuesday, July 3rd you may pick up a parking pass from the Camp Desk during camp hours. Parking Passes are limited to one per family. Please only pick one up if you will be using it. If you have accessibility issues, please call 416‐978‐2963. Follow all posted signs for street parking. Drop off is between 8:00 – 9:00 am for ALL camps. Supervision during this time is fully supervised, yet non-programmed. Games and books are available. In order to maintain accountability, your child must check in with their counsellor on their arrival to camp and check out with their counsellor on their departure each day. If your child knows that he/she will be absent or late in the future, he/she should inform their counsellor. Please contact the Camp U of T Camp Desk at 416‐978‐3634 before 9 am if your child is going to be absent. If your child is absent and the Camp Desk has not been notified we will contact you and leave messages at the camper’s home number and the daytime numbers of both parents/guardians. Pick up for all camps is between 4:00 – 5:00 pm Supervision during this time is fully supervised, yet non-programmed. Games and books are available. Please ensure that everyone who has permission to pick-up your child has been added to their profile. Only those listed on a camper's profile will be permitted to pick that child up from camp. As well, those picking up your child will be asked to show photo ID to verify their identity. Please make sure that everyone with permission to pick up your child brings photo ID with them daily. Without photo ID, those picking up campers will have to have their identity verified before they are permitted to pick up their camper. If you would like to pick your child up early, please let the camp staff know in the morning. In the event of an unscheduled early pick up please call the Camp Desk at 416‐978‐3634 to arrange this. It is best to arrange early pick-ups in advance since your child may be away from the main camp site at an activity and it may take some time for them to walk back. Early pick-ups will not be accommodated after 3:45 pm. If your child has permission to leave on their own at the end of the day please send a letter authorizing this for the first day of camp. Campers should be a minimum of 12 years old to be permitted to leave camp on their own. Campers will receive a weekly outline of activities on the first day. Updates and reminders may also be posted on the Camp U of T website or contact us for more details. Please note that the planned activities are subject to change in the event of weather disruptions or other unanticipated changes. Camp staff will be using a combination of walkie-talkies and cell phones to increase the range of communication during camp as they travel across campus. Please note that staff are going to be using their cell phone for camp purposes only. Lunch supervision will be provided for your child between noon and 1 pm. If your child is bringing her/his own lunch, we suggest that you prepare a substantial (nut free) lunch including beverages and snacks for your child. We ask that no glass bottles be packed. Children who do not have permission to leave camp on their own will not be permitted to leave the camp during the lunch period unless accompanied by a parent/guardian. Parents must check their child out of the camp with the counsellor and check him/her back in after lunch. Campers (12 and over) who have permission to leave camp on their own are allowed to leave Camp U of T for lunch purposes, but they require a letter from a parent and/or guardian authorizing this for the first day of camp. Campers will not be permitted to purchase any food from vending machines or cafes during the camp day. Please do not send money with your campers. In a situation where your camper has forgotten their lunch please contact camp desk to discuss alternatives. Camp U of T is allergy aware and asks that parents and guardians not send any nut products to camp for lunch or snacks. Please note that we are a shared use facility with the public and nuts may have been consumed in public areas. Children are reminded to wash their hands before eating and are not permitted to share food. Please remember to send snacks and a water bottle with your child every day! Water breaks are programmed every day at Camp U of T. We ask that no glass bottles be packed as these are a potential hazard. For sun safety for all outdoor camps please ensure that your child is wearing sunscreen prior to their arrival at camp. Teach them to apply sunscreen and wear a hat all times. Please send sunscreen labeled with your child’s name and we will remind them to re‐apply throughout the day. All camps participate in outdoor activities occasionally; please ensure that your child is prepared with hat and sunscreen daily. Outdoor camps (soccer, multisport etc.) will remain outdoors in rainy weather. Please send a raincoat and/or change of clothes. In the event of severe weather or thunderstorms, campers will gather at a designated area and play low organization games and activities. During extreme heat and smog, weather conditions are monitored frequently and activities are adjusted to provide safe programming for all participants with frequent breaks and activities that require less exertion. Campers are reminded to drink water throughout the day. Please ensure campers have a water bottle each day at Camp. Campers who are over six years of age and enrolled in a session that includes recreational swim times must successfully complete a swim assessment which will be held in the 50m pool. The swim assessment consists of jumping into deep water and submerging, a 25m front swim, followed by one minute of treading water. This assessment is done on the Monday of each week and campers registered for multiple weeks must complete the assessment each week. Completion of the swim assessment is at the discretion of the lifeguards. This policy is in place to ensure the safety of your child and fellow campers. The swimming level required is generally around Swim Kids 4. Campers change for swimming in the main change rooms of the Athletic Centre with other users of the facility. Campers are in designated rows and are supervised by their camp staff at all times. Please contact the camp directors if you have questions. Please review the camp description carefully to understand how frequently, and in what facilities, your child may swim. While in the pool campers are supervised by their camp instructors and certified lifeguards. Mini & Mighty Adventure Camps: Swim in the Teach Pool only. Dance & Movement: No recreational swim time. Gymnastics, ages 4 - 5: No recreational swim time. Campers ages 6+: Did not attempt or did not complete the swim assessment = Teach Pool only. Campers ages 6+: Completed the swim assessment = Deep water, (50m or 25 yard) pool as scheduled. All participants will be given a wrist band indicating which pool they swim in. Please leave the wrist band on for the entire camp session. If your child has a health condition that may be applicable during their time at Camp U of T we ask that you complete the Health Information Form 2018.This information will be shared with camp staff and lifeguards in order to provide a safe camp environment for your child. This form is not mandatory for every camper; it is only required for children with a health condition that could impact their time at camp. Anaphylaxis and Allergies, Asthma, Seizures, Diabetes, any medications administered at camp, and other conditions we should know about. During the camp, if your child is experiencing any difficulties or problems, please let us know. We look forward to a safe and enjoyable camp for all. If your child requires prescription medication while at camp please complete the Health Information Form 2018. All medications are required to be in the original container with your child’s name and the date of the prescription on the container. All medications will be locked in storage at Camp Desk and can be refrigerated if required. If the medication is for emergency use (inhaler or allergy medication) an instructor will carry it in their emergency first aid kit, or, if your child self-administers their medication they can carry it in their fanny pack. Non-prescription medication cannot be administered at camp unless a doctor’s note is provided. The doctor’s note should clearly indicate the child’s name, name of the medication, dosage, expiry date of the note and doctor’s signature as well as times to administer or specific signs and symptoms that indicate that the medicine needs to be administered. All non-prescription medication will also be locked in a storage cabinet at Camp Desk. **When people are ill with diarrhea, their stool can contain millions of germs. If someone with diarrhea contaminates the pool water, other swimmers are at risk. If a camper has any diarrhea, he/she should remain at home. Camp U of T teaches fundamental movement and sport skills to children and youth. We strive to make Camp an enjoyable and physically active experience for all campers. Campers are expected to be able to participate in the full camp experience with minimal adaptation or an aide may be required. If Camp U of T staff think that a camper requires support in order to ensure a safe and positive camp experience, for that camper and other campers in the group, the parents will be requested to provide an aide or alternative arrangement. Parents of children with exceptionalities are encouraged to complete the Inclusion & Support Form 2018 in order to assist with preparing for your child to attend camp. You will be contacted by a member of the Camp U of T administrative team to discuss the information. Information is kept confidentially and only shared with Instructors and Assistant Instructors as needed. We appreciate your full disclosure in order to provide a safe environment for your children. More information about ratios and the environment at Camp U of T can be found online. You can register and request an aide from Camp U of T. These aides are Assistant Instructors with an interest in inclusion and some additional training. There is a partial cost-recovery fee for this service of $230 in addition to the registration fee for a five day camp week (based on $5.75/hour for 40 hours). Children of U of T students will pay a fee of $130 for a five day camp week; proof of student status is required. These dates are provided as a convenience - full refund information is on the Camp U of T policies page. Camp U of T is proud to be an accredited camp with the Ontario Camps Association. We’re looking forward to a great summer! See you soon!